This term we are introducing Dash, our new studio mascot! Each week one of the students will take Dash home as their practice buddy and look after him for the week. Dash loves all kinds of music and he’s looking forward to hearing some great piano playing! 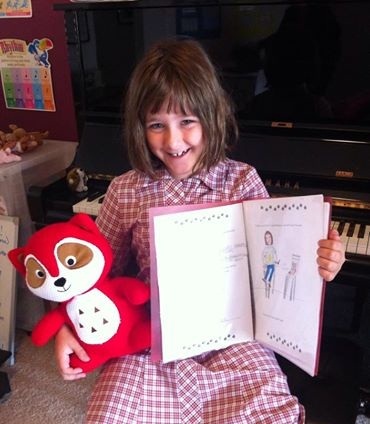 Dash comes with a folder for the students to fill up with information about themselves, what they love about learning piano, the pieces they played for Dash and of course, which ones were his favourites. Dash also likes ginger biscuits and playing in the park, I’m sure he’s going to have lots of adventures with the students this term! This entry was posted in Uncategorized on October 23, 2014 by Thembi.